Besara or Busara (as known in Egypt) is originally a dish from Egyptian cuisine. It is very authentic that it’s believed to belong to Pharaonic time, more than four thousand years ago. 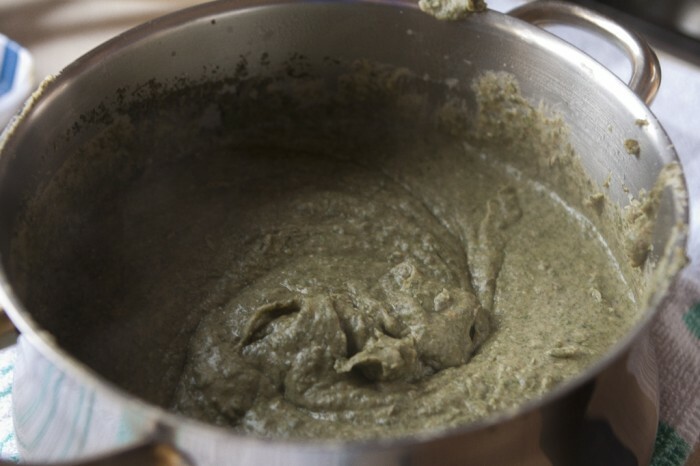 The main ingredient of Besara is broad beans which is widely used in Egyptian food. 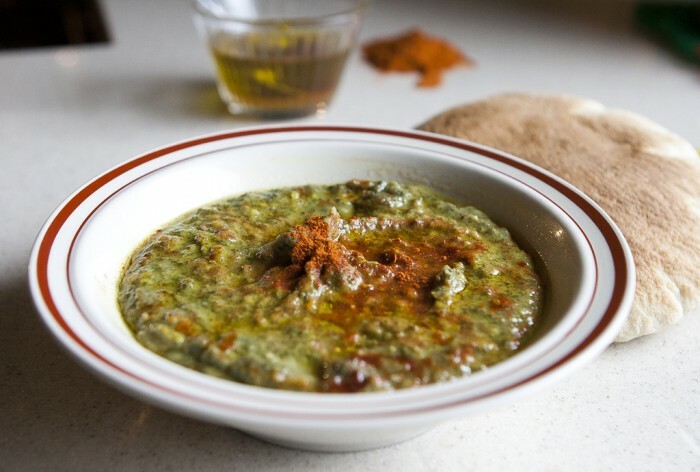 Other ingredients of green leaves like coriander, parsley, and dill are used in Egyption version of Besara, while mloukhieh (which is widely associated with Palestinian culinary identity) is used in the Palestinian version. Seasoning of lemon juice, red chili pepper and olive oil is not optional – it is actually a must with every single bite mopped up with hot pita or taboun bread. In case you don’t know where you can get besara ingredients from, check out this online store that sells and ships across Europe both dried mlokhieh and dried broad/ fava beans. 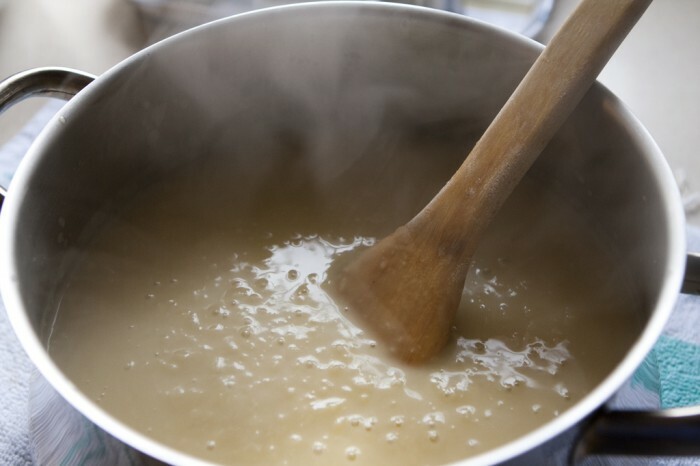 Meanwhile and in a different frying pan, add olive oil and onions and deeply fry them while stirring for about 10 minutes or until they become brown-golden. 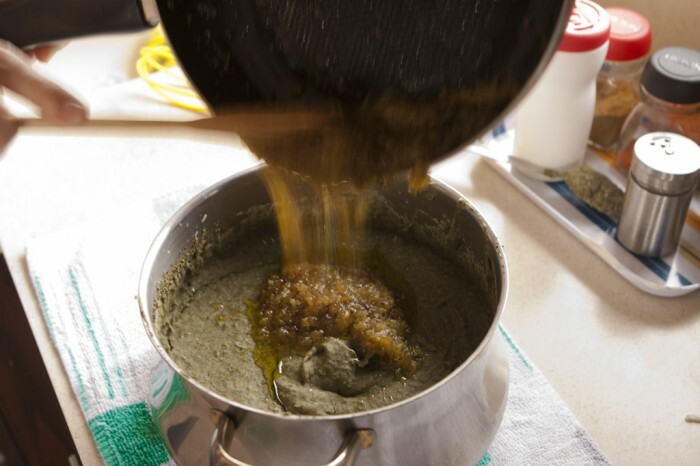 After having the broad beans completely cooked, add mloukhieh, cumin, salt, pepper, fried onions, and half cup of water, and blend the whole mixture using an electric blender until you have coherent thick paste. 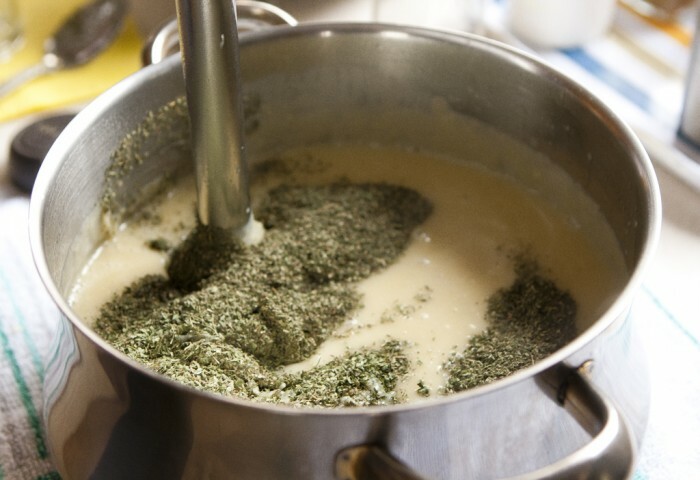 Pour the mixture in middle-sized plates. 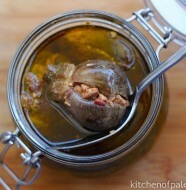 Add seasoning of olive oil, red chili pepper, and lemon juice according to your preference. Serve hot with pita or taboun bread. 13 Comments on "Broad Beans with Mloukhieh (Besara)"
This dish is one of my favorite. Me and my brother consider the Besara day more of a festival day! I really recommend trying this recipe, it is the best! 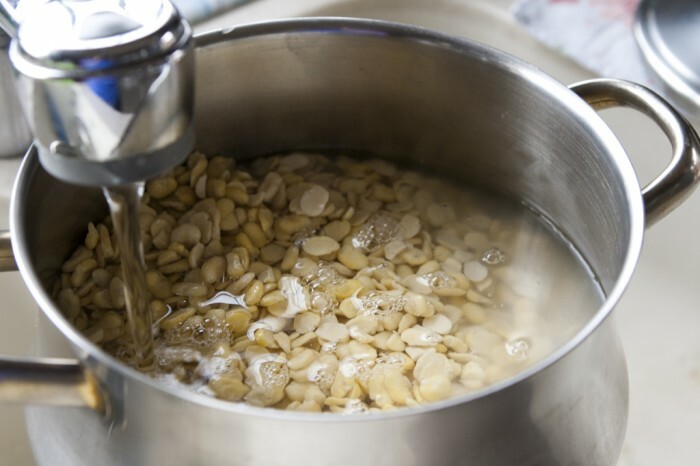 Can you use fresh FAVA BEAN instead of dry? Honestly I haven’t tried it with fresh beans before. I believe using fresh skinned beans will make a different taste. I am so glad to have found your site! I cooked besara and at the time had no idea where it was from; then I talked to an Egyptian farmer and he told me it was an Egyptian dish. I have a question for you: Are stuffed carrots a Palestinian dish? I saw it in a Lebanese cookbook (Chef Ramzi) and he does not mention it as being Palestinian,; yet, that was my impression. I’d love you input on this. thanks!! Thank you so much Joumana for stopping by! I want to say that I’m a big fan of your blog. You’re recipes and stories are great inspiration to me. Many Palestinian families that I know make stuffed carrots very often. Some claim that it’s a dish from Nablus. However, Iraqis usually stuff carrots along with other vegetables for their dolma. And I’m sorry for the late reply. wow..so happy to have discovered this wonderful blog while looking for an authentic Maklooba and kafta bil tahineh recipe( ps will u post those soon? 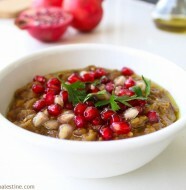 ),, I am of part Palestian/Jordanian origin and long to recreate the exquisite flavors I grew up with.. .Palestinian/Jordanian food is so earthy,aromatic ,wonderfully spiced, and delicious.., many many years ago I had a dish made of lentils and burghol cooked in jameed , like a soup, does that ring a bell?if so whats the name of the dish? Hi Mariam! I’m glad to have you here. “Kafta bil tahineh” is coming soon. I can’t agree more, our food is the best! oh thank you so much..thats were my grandfathers sister was from , As Salt, shes the one who made the dish! ..looking forward to all your posts.. I love it! 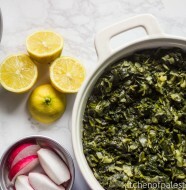 My Dad never made this, although we ate Mloukhieh all the time (lamb stew). I didn’t have dried (I have never managed to stop it being woody) so I used frozen and I have to say it was very good. Thank you for showing me a new Palestinian recipe! Cool! I’m glad it turned out satisfying with frozen mlokhieh.. Dried herbs are usually used in recipes that need long cooking time (as in soups, stews) so the flavor takes its time to steep into the dish. While fresh herbs are commonly used for garnish or toward the end of cooking (as in sauces, dips, salads) for strong and fresh flavor.